DALE Gibson is a true locavore. Ask him about SE1 and you'll get an account that spans its history as the 10th century causeway between London Bridge and Bermondsey Abbey to its most recent incarnation as one of London’s most exciting and innovative food destinations. The common theme is of course honey and Dale’s passion, commitment, and enthusiasm for this most ancient of crafts. “There is a long history of beekeeping in this area and we intend to promote sustainable beekeeping in a way that it won’t just have a long history but have a long and happy future,” says Dale. The winner of multiple awards including two Great Taste award last year, Dale has been keeping bees on his rooftop in Bermondsey for ten years and championing the importance of responsible beekeeping. With over 3,000 hives registered within a ten kilometres radius of his rooftop apiary, he is committed to ensuring that London bees are well cared for. 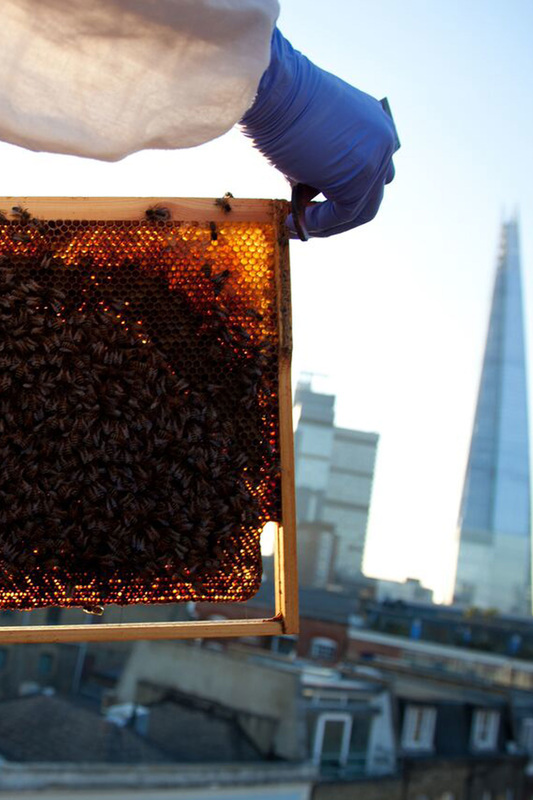 ”Beekeeping is a local business, so the development of forage in London has to be local. As a city we are not making any more green space. Therefore we have to optimise the green space that we have now,” he explains. Such views on sustainable urban apiatry has lead him to regularly partner with local greening charities like Bankside Open Spaces Trust and Potters Fields Trust and community groups like Leathermarket JMB to plant pollinator-friendly and pollinator-rich gardens. Projects have included planting structural forage like horse chestnut, hazel, and willow trees as well as herbs, currant bushes, and passion fruit, all of which are key to sustaining London's bee population. All his honey is sold raw and cold-filtered, labelled with its individual source and tasting notes. 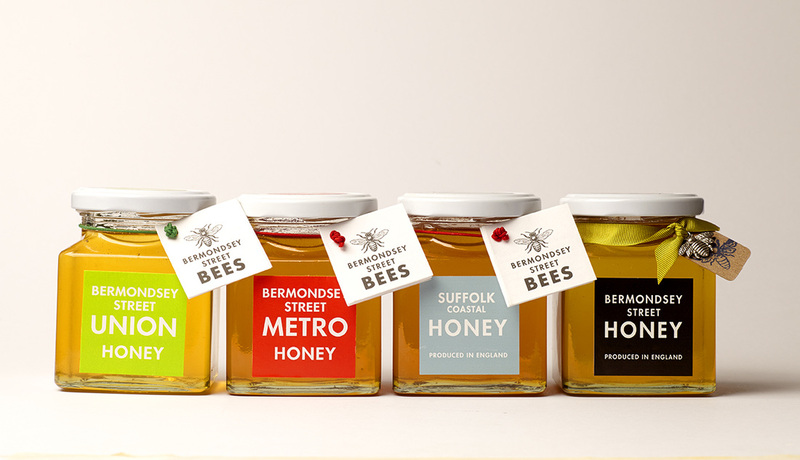 Under the Bermondsey Street Bees name, there are three individual product ranges. Bermondsey Street Honey from Dale’s home hives that is available each September. Then there are two 'curated' labels, single source honeys chosen by Dale from other artisan beekeepers whom share his philosophy and approach. 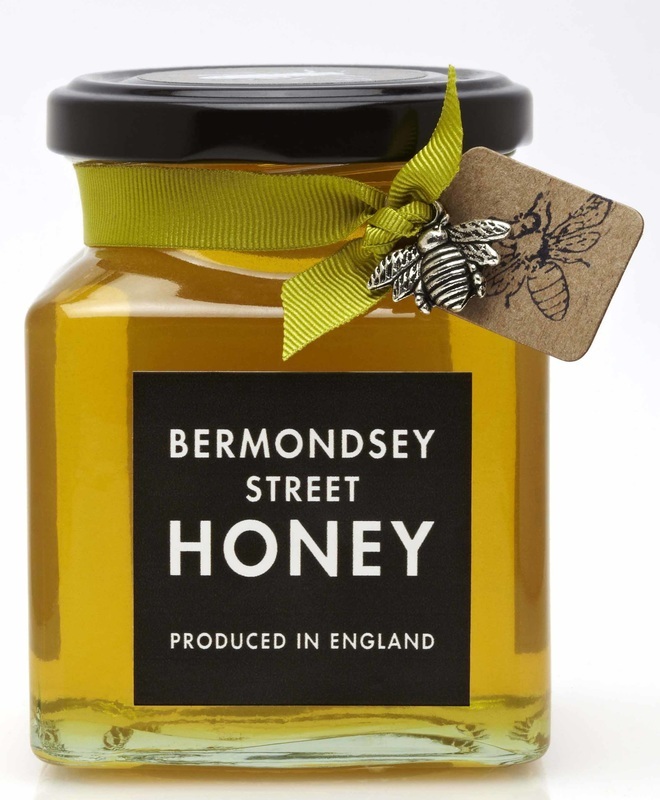 The Bermondsey Street 'Metro' label sells exceptional honeys from urban beekeepers; while, the 'Union' label includes characterful country honeys from as far afield as Yorkshire and Devon. As for the life of an urban beekeeper in London, Dale describes it as a truly “immersive craft”, one that draws upon all five senses. As he explains: “First of all there is vision. You look at the hive watching the behaviour of the bees in terms of food collection, orientation flights for example. The second sense is smell because this is really the most important sense that the bees have beyond their own vision. They communicate by smell. They communicate danger and alert by pheromones that smell banana-like. There is touch because as you handle the beehives, you need to be very delicate. 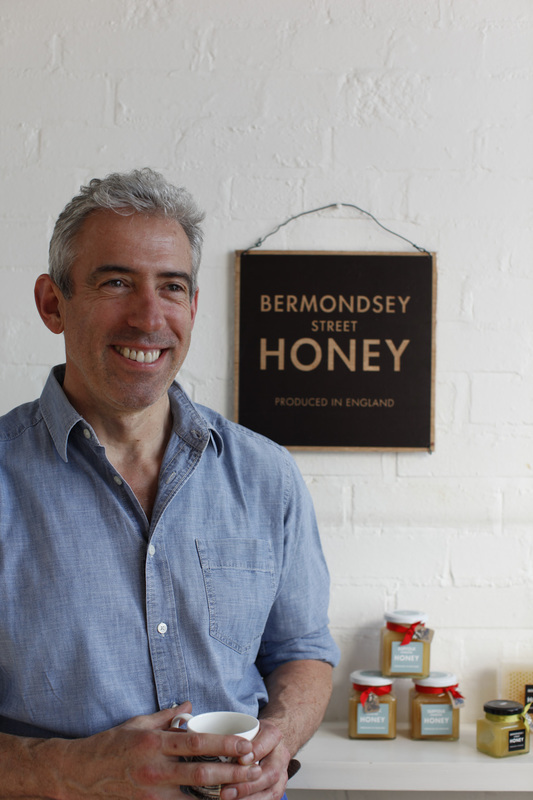 You can find our more about Bermondsey Street Bees here. For information on rooftop planting in London, you can download Dale and London-based garden designer Jane Finlay’s guide, by clicking here. Sustainable beekeeping has been a theme that has been developing over the last ten years and John Chapple was the pioneer in raising awareness of the forage deficit in London. I consider him the greatest beekeeper in London. Bermondsey Street is the perfect encapsulation of what has changed in London over the last ten years. When we first moved here, we had a few notable restaurants like Delfina but the street has now grown into a gastronomic destination with restaurants like José Tapas Bar, Antico and Casse-Croûte. Honey & Co on Warren Street - it is a small restaurant that has taken Middle-East cuisine to an art form that is quiet and local. Sarit Packer and Itamar Srulovich write great cookbooks and serve fantastic food with great humour and grace. French Flint have the most astonishing array of glass containers - they supply us with all of our jars. We are admirers of Hannah Rhodes of Hiver Beers and Jensen’s Gin, both of whom we collaborate with. Down at Bermondsey Street Spa, we always recommend The Butchery, and The Ham & Cheese Company, both have fantastic produce, and Natoora, for exceptional vegetables. We also like Scarlet Rosita for her free-from bakes. There are also our fellow beekeepers like John Chapple who makes exceptional honey in London.